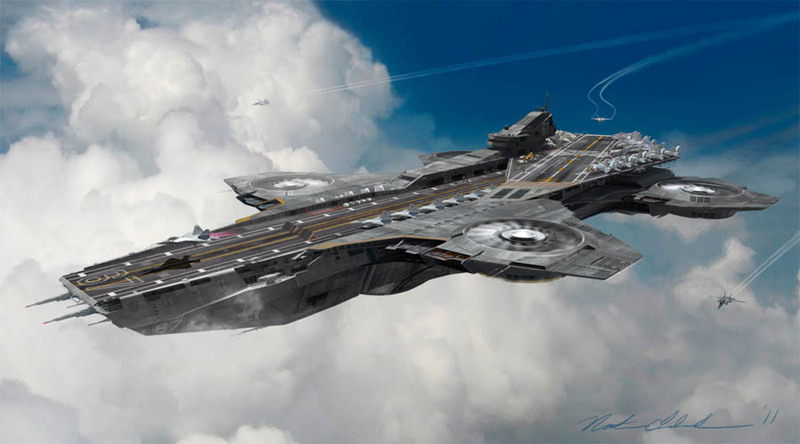 We’ve all heard of aircraft carriers, but not all of them operate on the surface of the water. 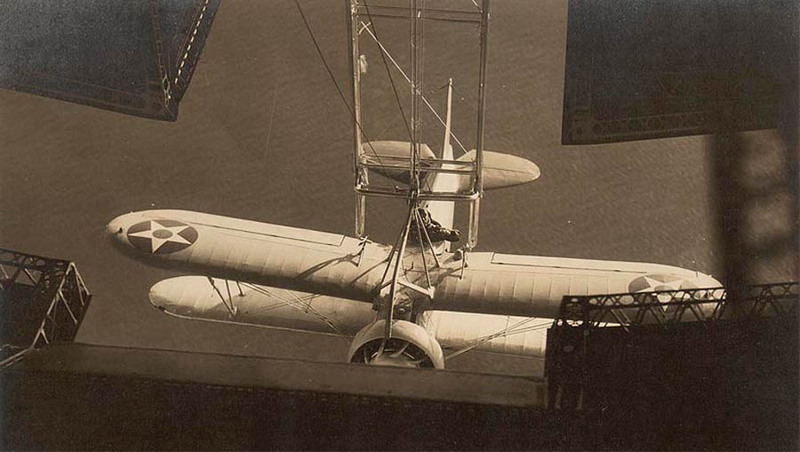 In fact, some are actually airborne themselves and date back to the early pioneering days of flight. 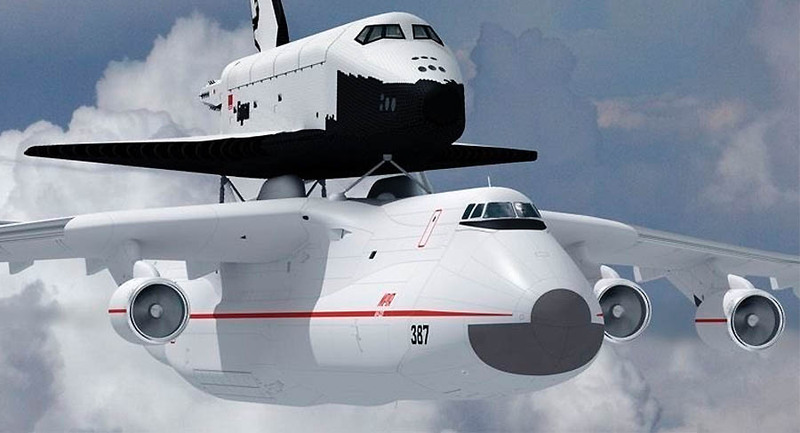 An airborne aircraft carrier, sometimes known as a carrier aircraft, is one that is capable of carrying other, smaller aircraft. 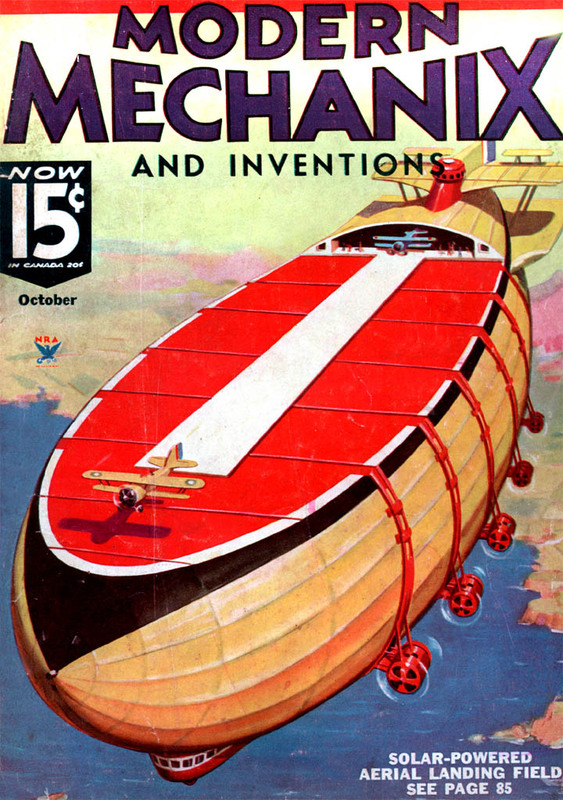 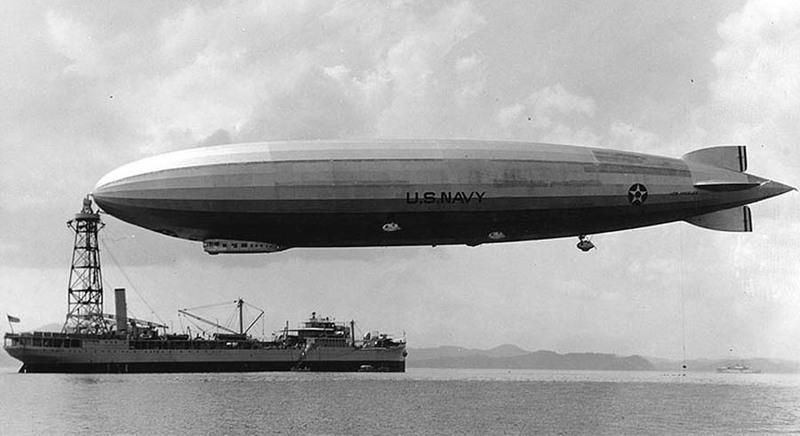 Usually, these are massive planes, but in the early decades of the twentieth century, huge airships were used in attempts to perfect the concept of an airborne aircraft carrier. 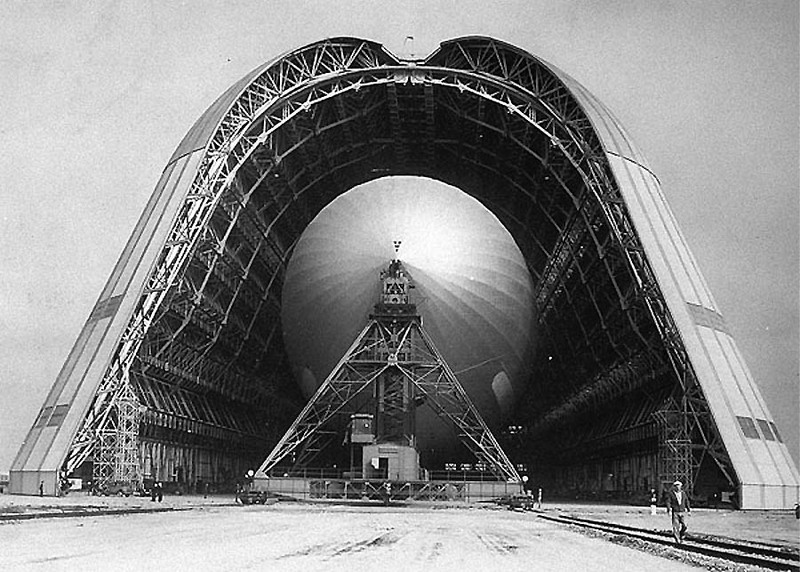 The gargantuan Zeppelin type sky-borne vessels were used to launch and then recover fighter planes during the 1920s and 1930s. 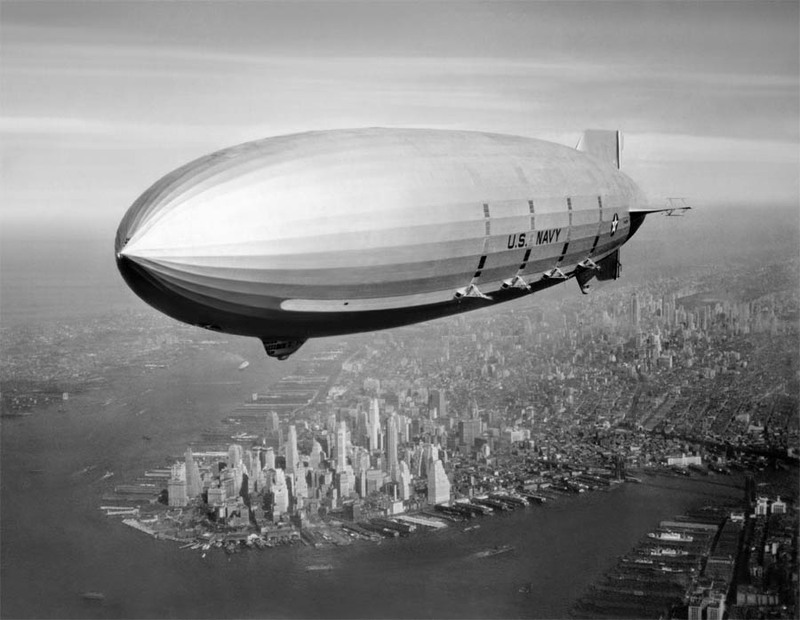 Akron and Macon were only 20 feet shorter than the Hindenburg and at the time, the two American airships were among the largest flying objects in the world. 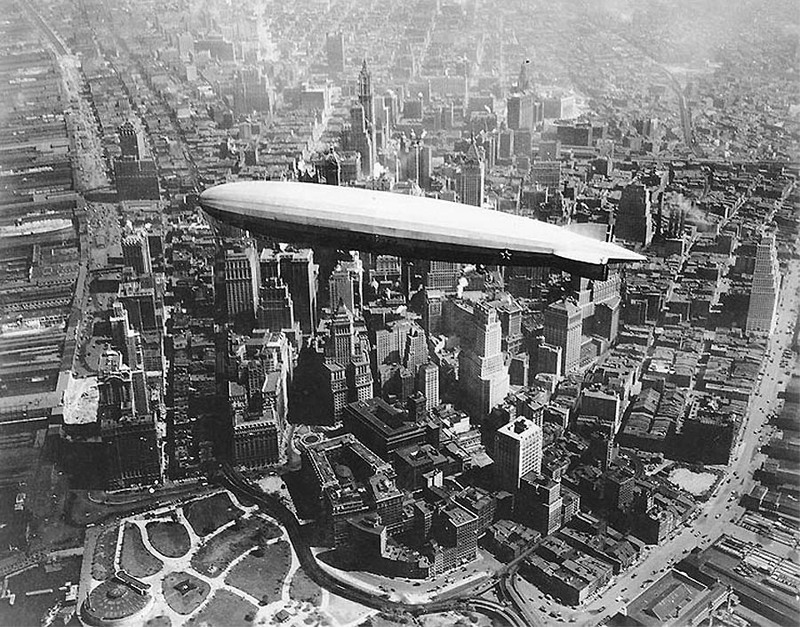 USS Akron served as an airborne aircraft carrier, launching Sparrowhawk fighters and the airship apparently had room for three planes. 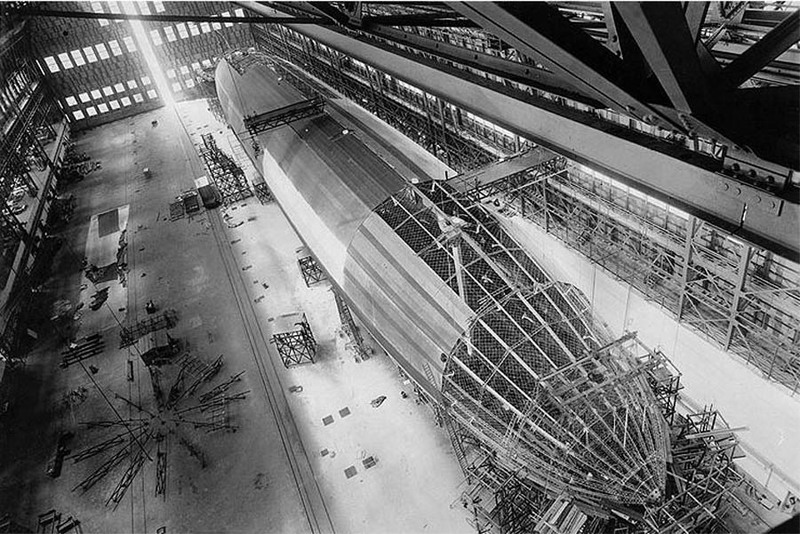 The Akron was destroyed in April 1933, killing 73 of the 76 people on board. 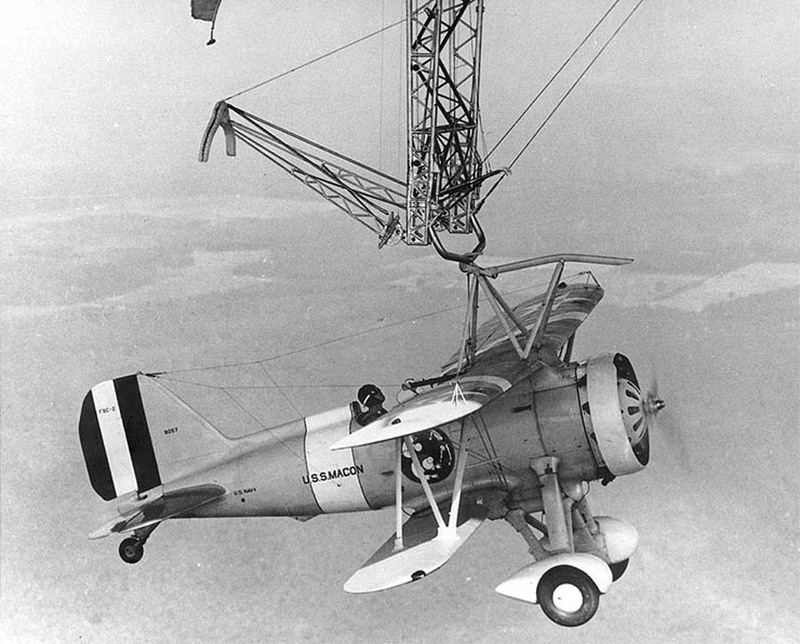 USS Macon was operated by the US Navy in the early 1930s and designed to carry five Sparrowhawks. 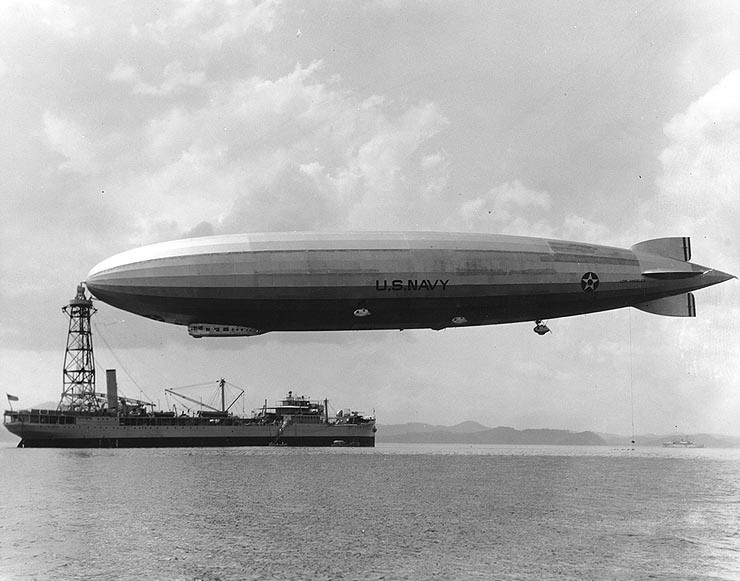 The Macon was lost in a storm off California in 1935, but most members of the crew survived. 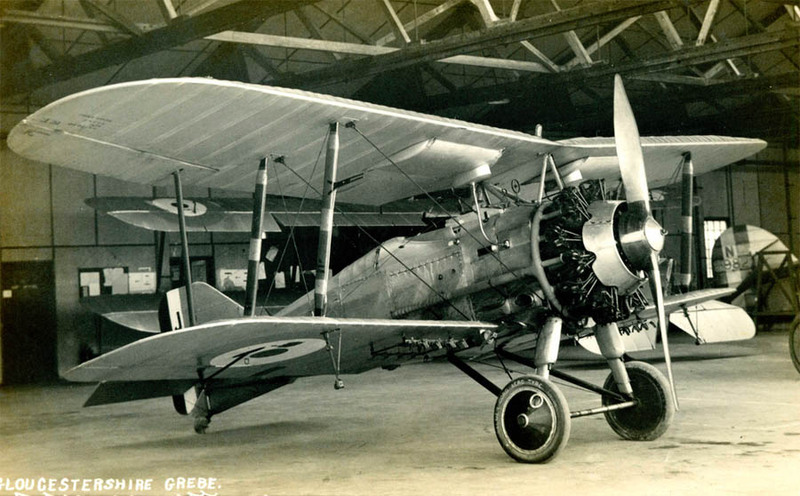 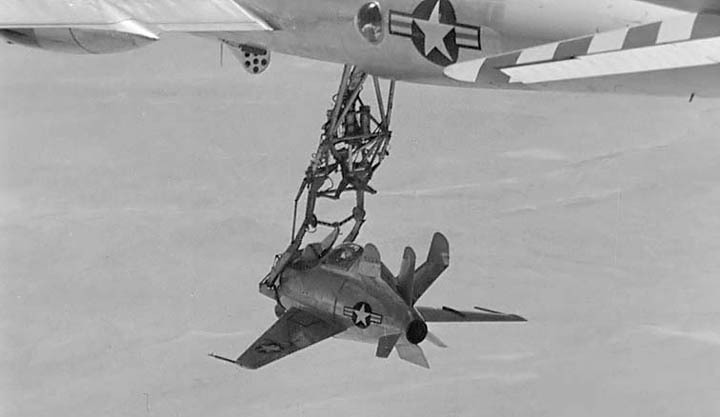 During the war, the German Daimler-Benz Project C called for massive carrier aircraft, carrying five or six small jet-powered kamikaze planes. 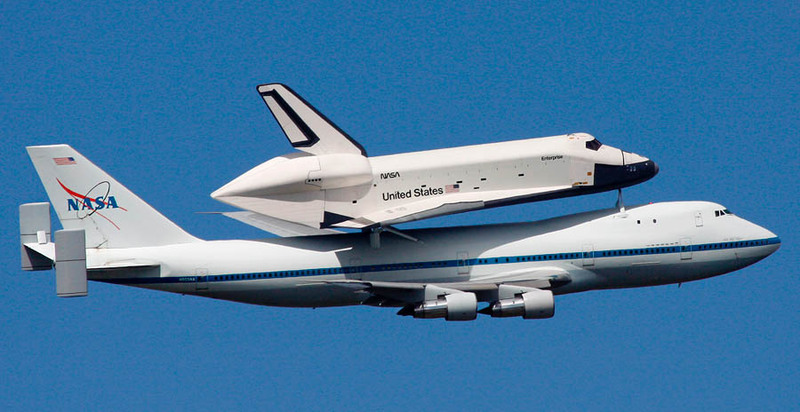 This project never got off the ground, quite literally. 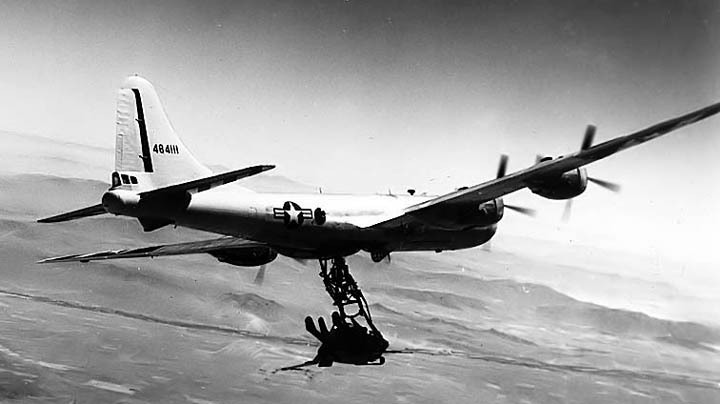 Germany’s Huckepack Projekt or Piggyback Project was designed to be able to bomb the US mainland from Germany. 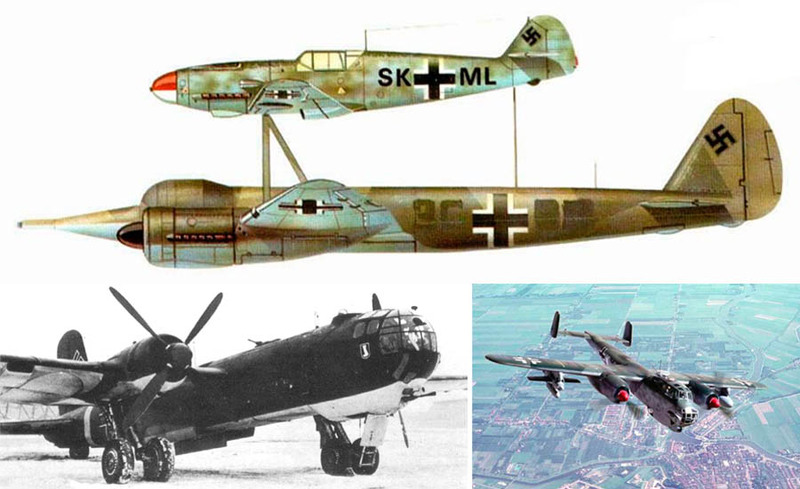 It was proposed that a Heinkel He 177 bomber would carry a Dornier Do 217 as far as possible over the Atlantic before releasing it. 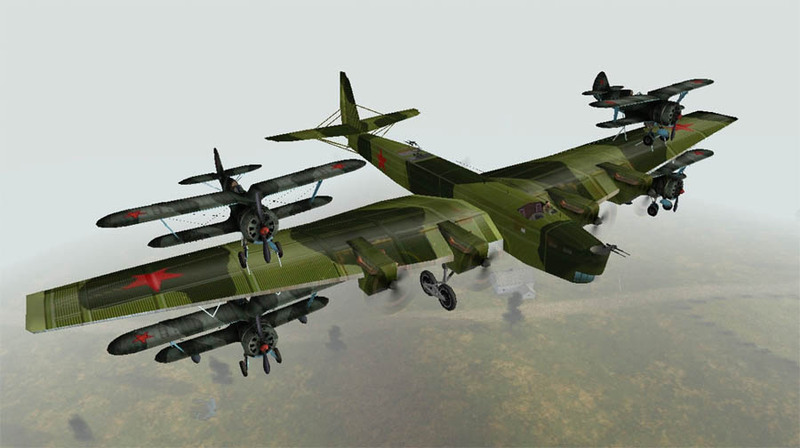 The Dornier would fly on alone, before being abandoned off the East coast of the US, with the crew rescued by a German U-boat. 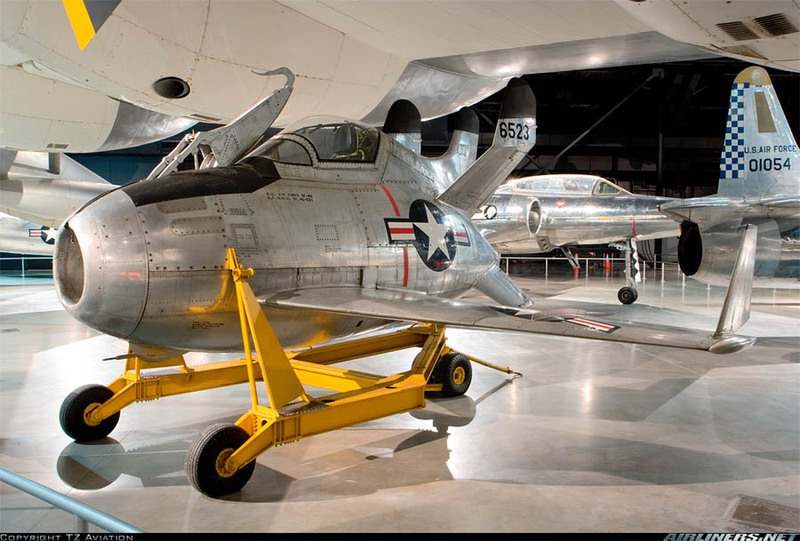 In the years immediately following World War II, early jet fighters had a limited range. 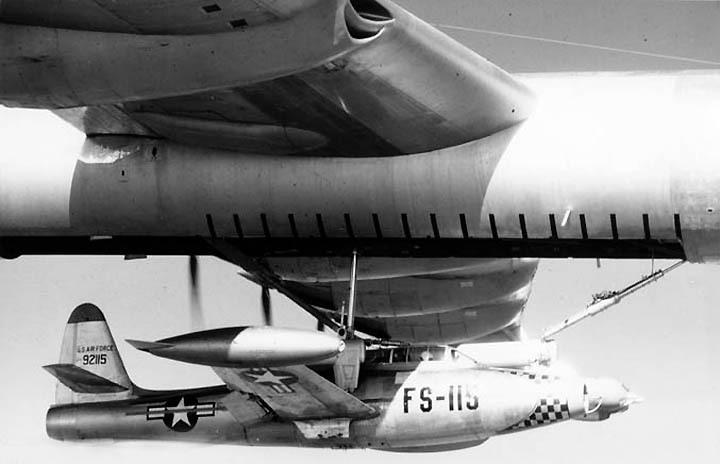 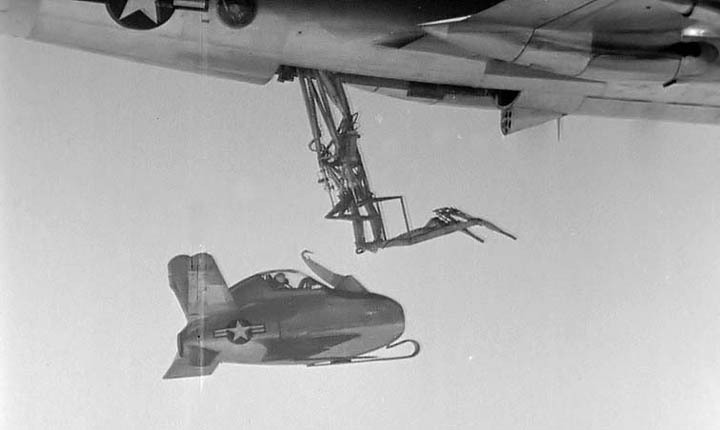 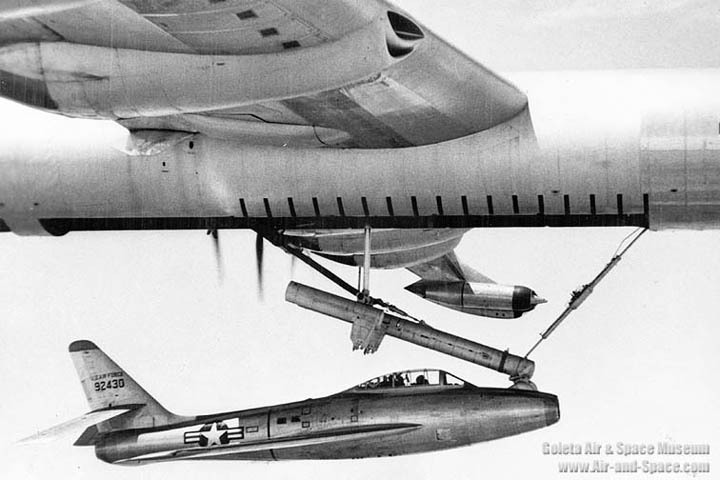 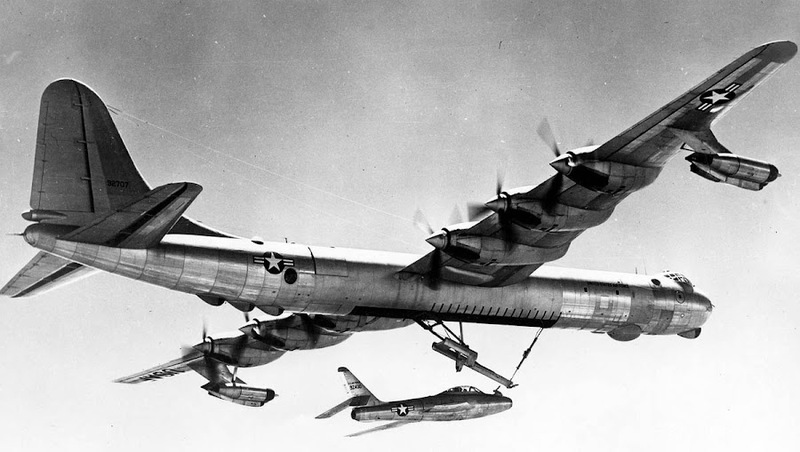 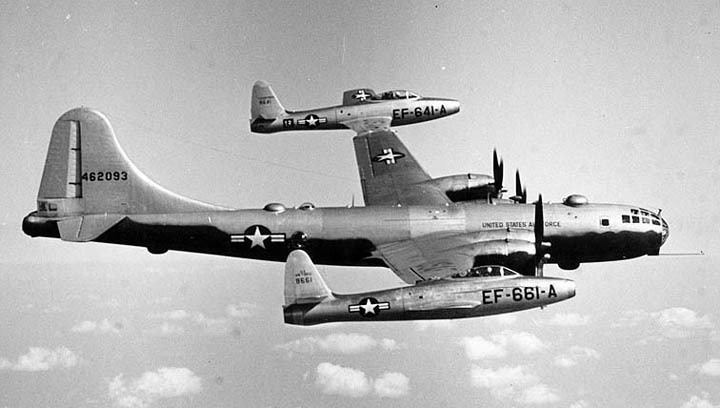 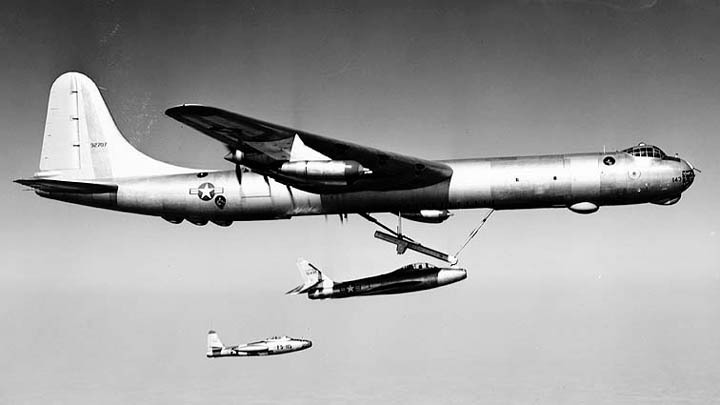 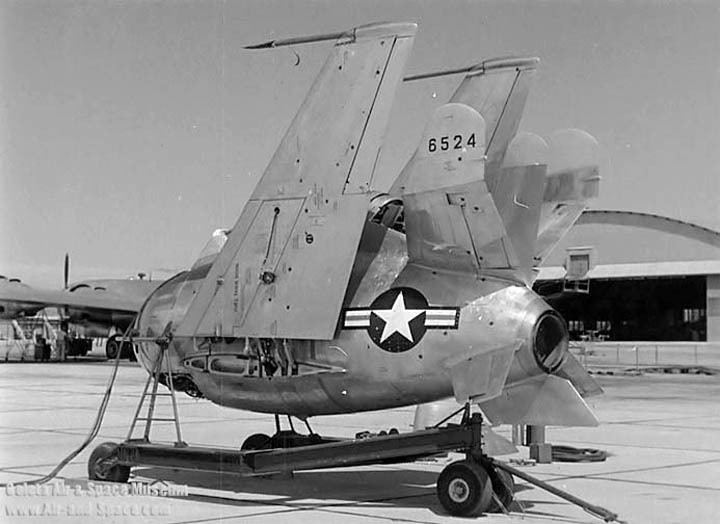 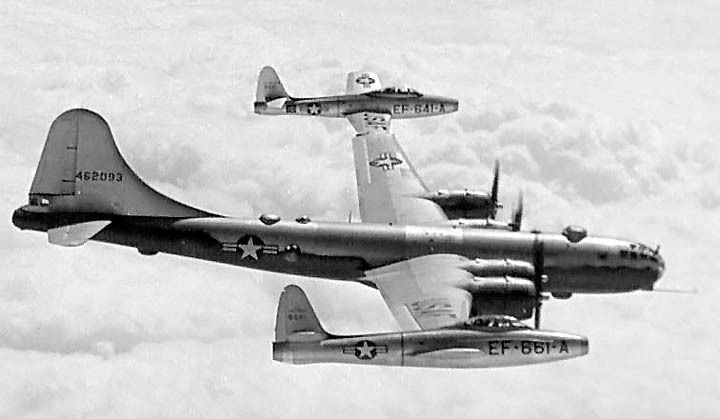 Tests were carried out to have long-range bombers carry their escorts, so that the fighters could save fuel and still be able to protect the bomber over the target. 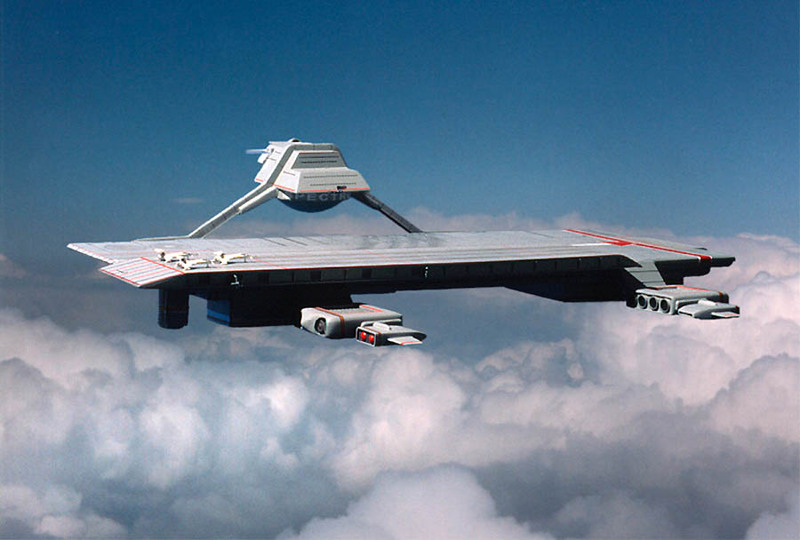 And finally, here’s the SHIELD helicarrier from Marvel Comics and Cloudbase from Captain Scarlet and the Mysterons in the late sixties, wrapping up our look at airborne aircraft carriers here at Dark Roasted Blend. 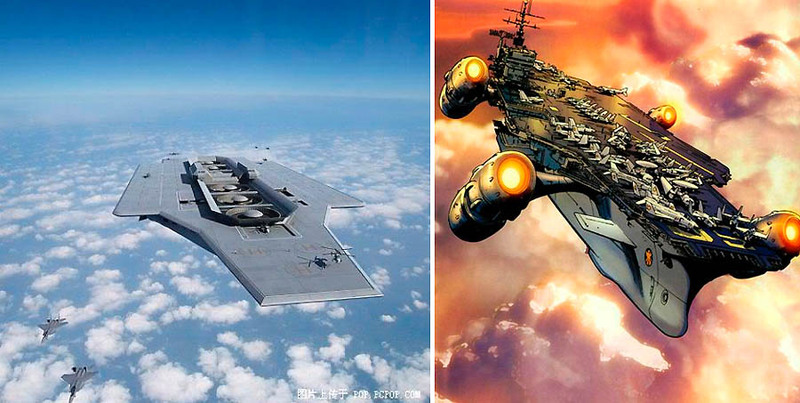 ..and the Valiant from Doctor Who is missing! 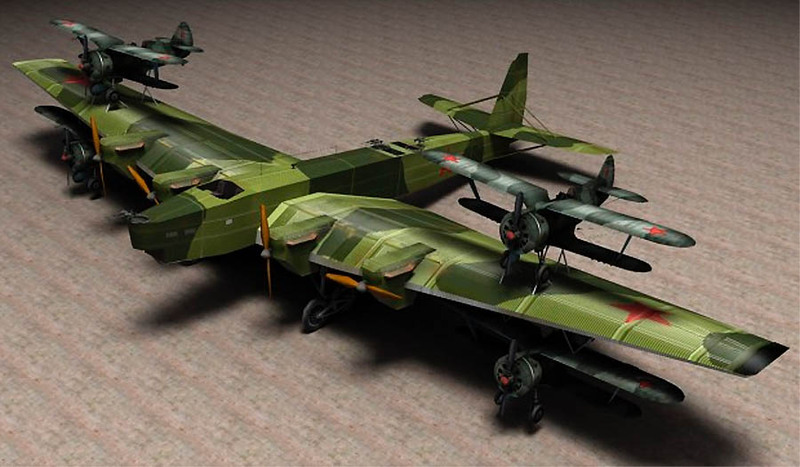 One of the images for the Mistel is out of place, it's given under the He-111 project. 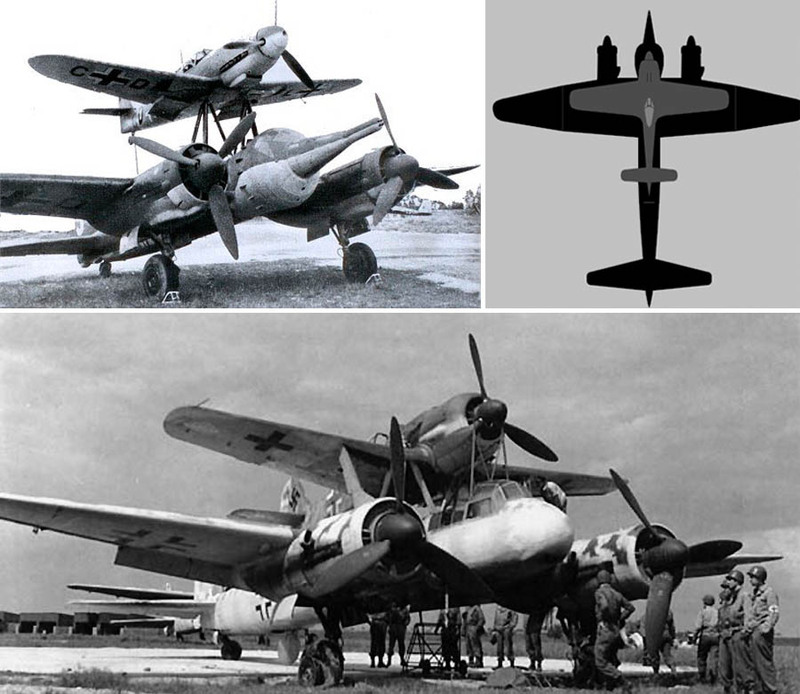 And the bottom image in the Mistel block appears to be a Junkers Ju 88 carrying what looks like a Focke-Wulf Fw 190. 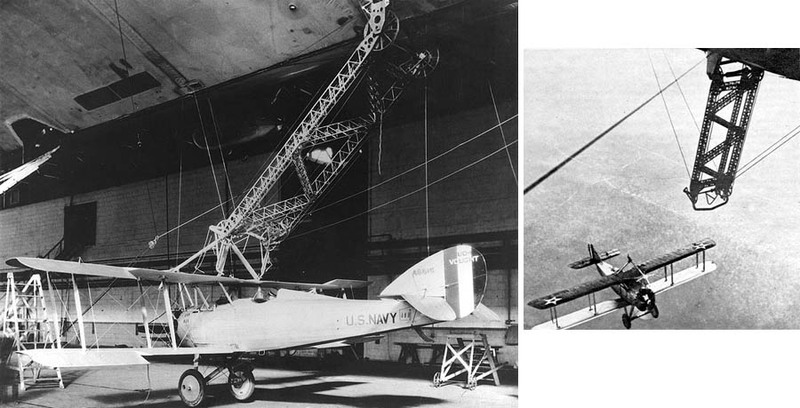 This was built under Project Mistel, but is an entirely different configuration than the Bf 109 and unmanned bomb variant. 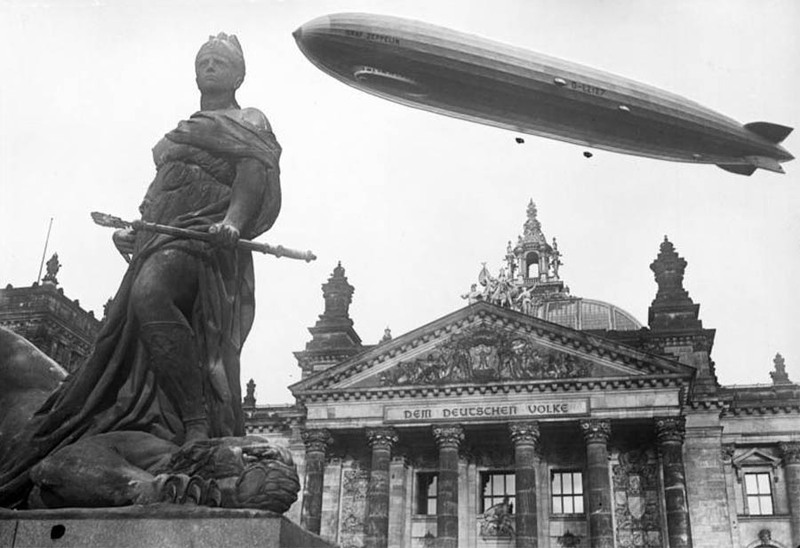 The German Baron in Spiderman S3E3 1967 had it all figured out. 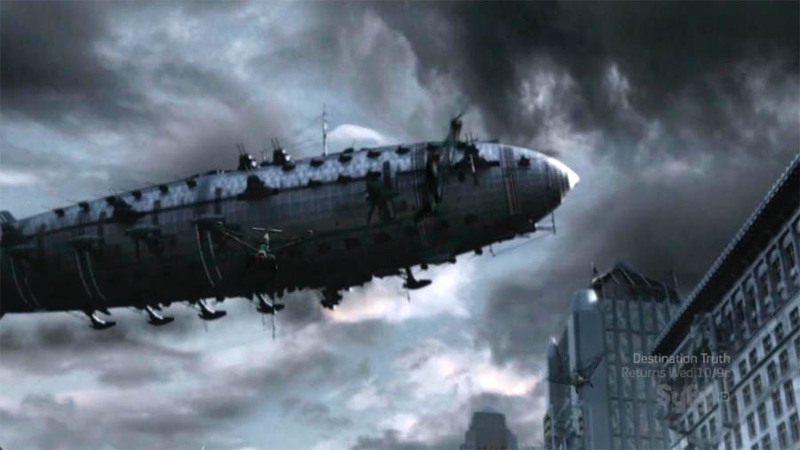 And don't forget the space-going zeppelins carrying hundreds of Nazi flying saucers in 'Iron Sky' - the new film from the makers of 'Star Wreck'.